Finding Bigfoot has aired seven seasons on Animal Planet, and fans of the series need to prepare themselves for season eight. An exact premiere date for the series has not been given, but one of the members of the cast, James “Bobo” Fay posted an update about the series on his Facebook page recently. Several fans commented his news with their excitement. 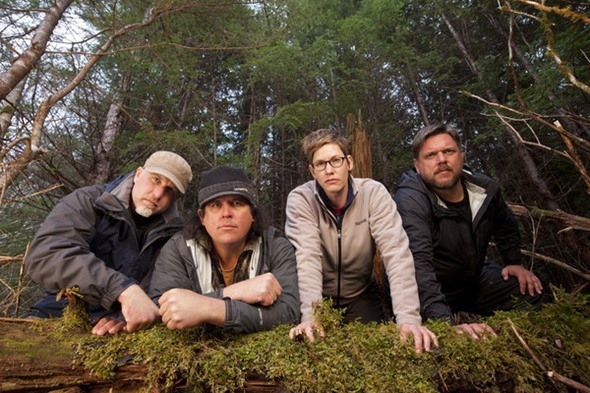 Are you one of the viewers excited about the return of Finding Bigfoot? Tell us what you think. YES YES YES !!!!!!!!!!!!!!!!! Having big foot withdrawls! Cant wait for new show! Bigfoot is real I have proof so ther was a cage and a dead deer was in the cage and Bigfoot was hanging on the roof and feel on the bodem! I think the local chapter of “Big Foots are Us” should be notified of the January date so that one of their representatives can finally make an appearance and scare the crapp out of these guys. I’d love to see it … my opinion, thanks.